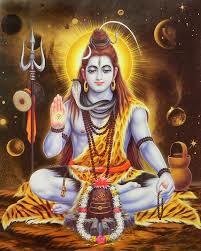 One night of each year in the Vedic or Indian calendar is dedicated to worship of Lord Shiva. This sacred holiday is known as Maha Shivaratri – the great night of Shiva. According to mypanchang.com, Maha Shivaratri 2017 falls on February 24 in most parts of the world. 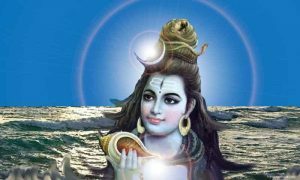 For those residing in New Zealand, Fiji, and parts of Australia, Maha Shivaratri 2017 is on February 25. The difference is due to the fact that the holiday is celebrated according to the lunar calendar and phases of the Moon will vary. In the Vedic tradition, there is a trinity of the major GODs: Brahma (the Governor), Vishnu (the Operator), and Shiva (the Destroyer). Shiva translates as “the auspicious one”. Shiva’s worshipers know him to be compassionate and merciful. He protects his disciples from vices and bestows them with his grace. Shiva removes that which has outlived its usefulness and then allows us to start anew. He can remove our limitations, negativity, and false beliefs. He brings about radical transformation. When the universe was created, Brahma incarnated Rudra at midnight. The Rudram is a sacred chant to Lord Rudra. Shivaratri also celebrates the anniversary of Shiva and Parvati’s wedding. During the samudra manthan, or the churning of the ocean, Shiva drank the poison (hala hala ) which arose from it and thus saved the world. The poison turned his throat blue. 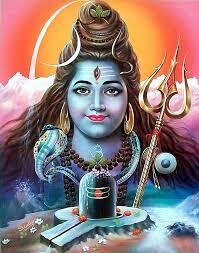 Thus Shiva is known as “neela kantha” – the blue throated one. Shivaratri honors Lord Shiva’s heroic deed. Shivaratri is the anniversary of the day when Shiva danced the cosmic dance the Tandava. This is his dance when he destroys creation using his third eye. The Shiva Tandava Stotram honors this dance. You can also read the text. Shiva has a crescent Moon on his head. It represents the cycles of time and that Shiva himself is the master of time. Shiva has a snake around his neck. The snake is a symbol of the kundalini shakti, or spiritual power inside all of us. Shiva’s trident represents the three spheres or wisdom, desire, and implementation. O n this auspicious and sacred night, it is said that one repetition of the mantra “Om Namah Shivaya” is magnified 1,000 times. Due to the great merit of this mantra repetition (or japa), it is customary for people to gather and stay up all night chanting the sacred mantra. People typically fast on this day or refrain from eating grains. Steamed milk with aromatic spices, such as cardamom, cinnamon, nutmeg, and saffron, is prepared and served or left outside in the moonlight. White clothing is traditionally worn on Shivaratri. (An alternate spelling is Shivratri). On Maha Shivaratri 2017, the Moon in Vedic astrology falls in the nakshatra or constellation of Shravana in Capricorn on February 24. Shravana is associated with ancient traditions. Symbolized by an ear, this star is associated with listening to inner wisdom. 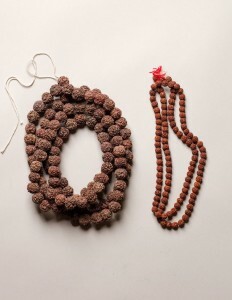 The rudraksha mala and bracelet are traditionally associated with Lord Shiva. Shiva is said to have cried tears when he saw the suffering of humanity. These tears fell to the ground and formed seeds which grew into the rudraksha tree. Thus, the mala is a symbol of purity. Rudra is another name for the fierce form of Shiva. Aksha translates as “eyes”. When doing mantra japa to Shiva, it is beneficial to use a rudraksha mala if possible. While chanting is common in groups and at ashrams, spiritual retreat sites, etc., the focus in entirely inward. As we chant “Om Namah Shivaya” (I honor Shiva – the supreme being who resides in each of us), or other Shiva mantras, we can connect once again to our own innate divinity and acknowledge that there are multiple facets to our own great being. We can also recognize the divinity that exists in each of us and honor that time and again. 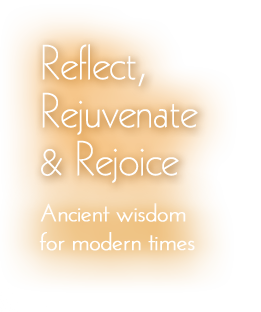 Immerse yourself in the bliss of Shiva on Shivaratri. Additionally, an abhishek or a ritual bath to a Shiva lingam is traditionally performed on Shivaratri. The lingam is bathed with a mixture of milk, ghee, yogurt, raw honey and natural sugar. If you would like to remotely receive the blessings of a puja on Maha Shivaratri 2017, you may do so via Shri Krishna Yajurveda Pathashala in Satara, India. They will perform an abhishek to a Shiva lingam and chant the mantra “Om Namah Shivaya” 2,100 times. 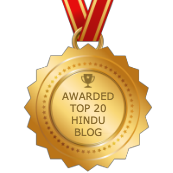 Each person who participates remotely will get the merit that this sacred ceremony bestows. For information on how you can personally participate, please send an email to Shri Vivek Godbole at sohamvg@gmail.com.